Apple’s Black Friday event kicked off earlier today in Australia and New Zealand, offering a hint of what to expect if and when the promo launches in Canada and the U.S. this Friday. 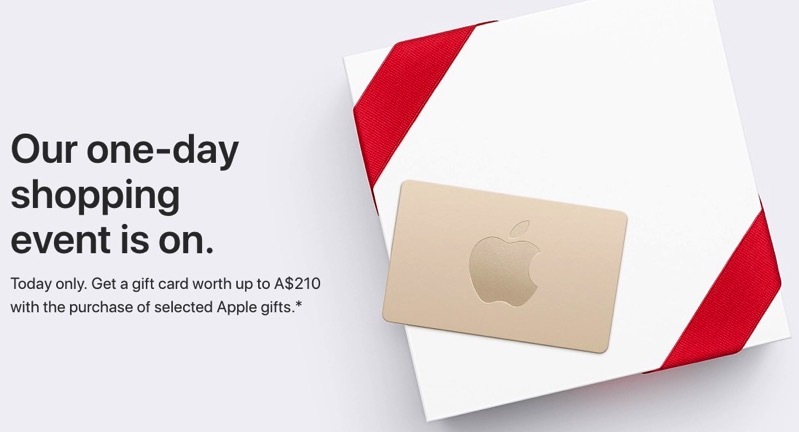 So it seems the gift card bonuses are about the same as last year, except we’re not seeing savings on Apple TV. If you want to save on Apple TV 4K or Apple TV 4, head to Costco.ca and take advantage of their $25 off $100 Masterpass coupon. Click here to see our real-time Black Friday savings post, as we’re posting all the best deals as we find them.